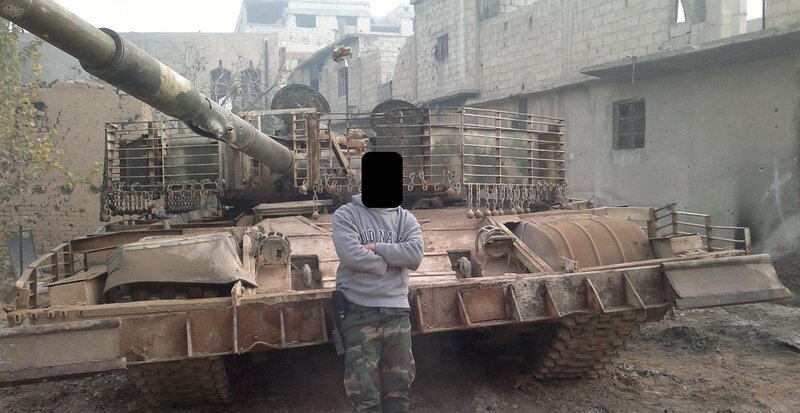 T-72A with K-1 added on top of it, Sheikh Miskeen, 2-4 days ago. 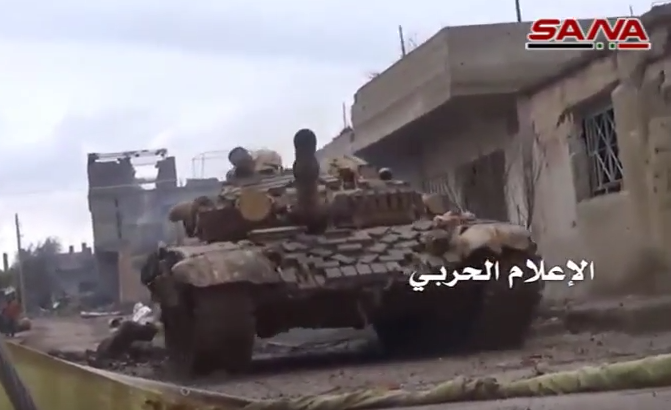 #SAA T-72AV with mine rollers, East #Aleppo. 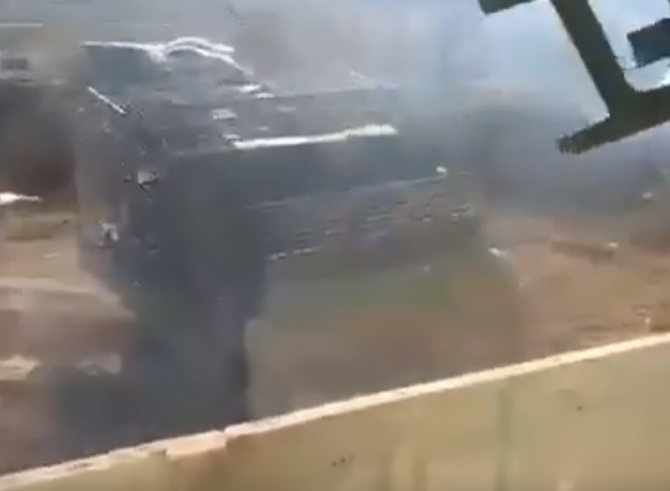 #Syria: Russian T-90 tanks in Jableh just south of #Latakia. 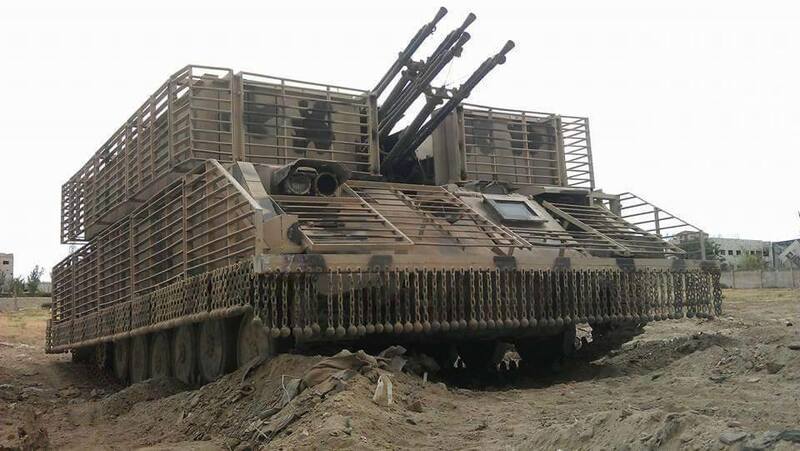 So I can contribute something to this thread, have this budget terminator, apparently built by government forces. Both bumping and "answering" this I guess. Also found out why that youtube video wouldn't embed. Instead of using the short link, it seems that I'm supposed to just copy/paste the address bar. I've had no luck finding any other pictures or videos of the thing. I tried googling some of the words from the youtube title, as well as looking at photos from around the time of that specific battle, but no luck. I of course am not the best at searching for stuff like this either. 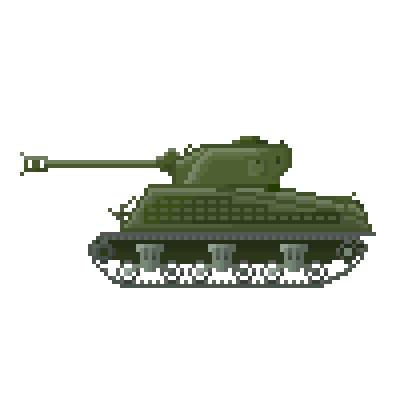 I can't say I'm entirely sure it's a Sherman either, but I can't really think of anything else that may be, and the general shape seems about right. It makes for a really interesting thought too. It doesn't seem to me like it's the turretless M4A1 from the OP at least. Watching it again, there's a few (color-coded) details I've noticed. ● Red: There's something I guess is sheet metal that they've dressed the thing up with. There's a clear X shaped indent on the forward one and a single panel over the side around where the crew would be behind. The ● blue dot is what looks like the floppy remains of other sheet metal stuff, and the forward one with the X indent is missing on the other side. I'm guessing it's been shot at before by someone. 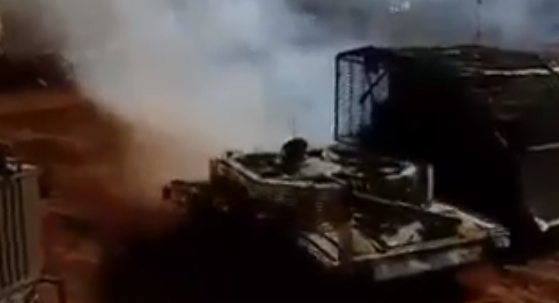 I don't think the Sherman would have so much space over the tracks either. ● Green: Some sort of lamps or cameras or something I think. About where you'd find the hull MG for the co-driver. ● Absolutely Fabulous Fuschia: The dot itself seems to be a recessed area or something. There also appears to be plates behind it, certainly not how'd I'd expect it to look from a Sherman. 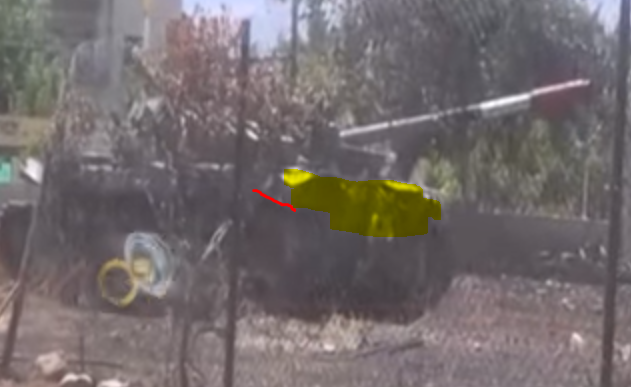 This would help explain the whole thing with a T-55 turret working on an M4 hull, but I have to wonder if it's even more of a frankentank than meets the eye. The hull above the tracks seems wrong for a Sherman with there not being as much stuff over the tracks or the odd engine deck. The rear hull still looks like a Sherman, though I'm unsure about some of the engine deck. On the side hull above the tracks (this is what you call the sponson, yes?) the bottom looks like it bends up, unlike just staying flat for the entire length like it should. The parts covered in highlighter look about right to me, but the red mark is this bend I'm talking about. The angled engine deck area between the side hull and the roof proper looks like it ends sooner than it should, but that could be due to what I marked earlier in the Absolutely Fabulous Fuschia. Check the first frame of the youtube link to see it not murdered with the snipping tool. 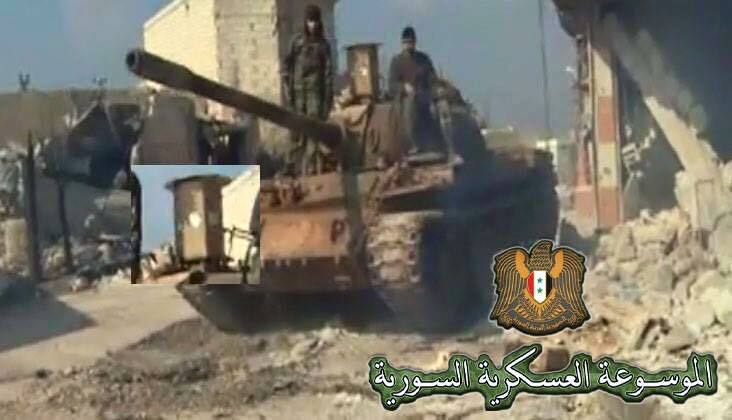 Perhaps they had some busted T-55, saw the still working Sherman, and put the big gun on the working tank hull? 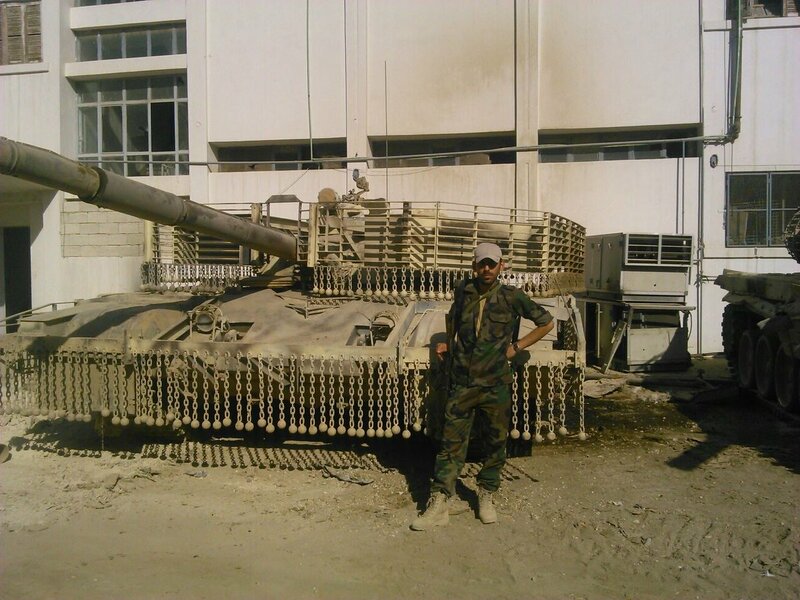 Maybe cut off a bit of the T-55 roof, and glued it to the whole deal? Dunno if that's even possible, but it sounds like something you'd try if you really wanted a tank. 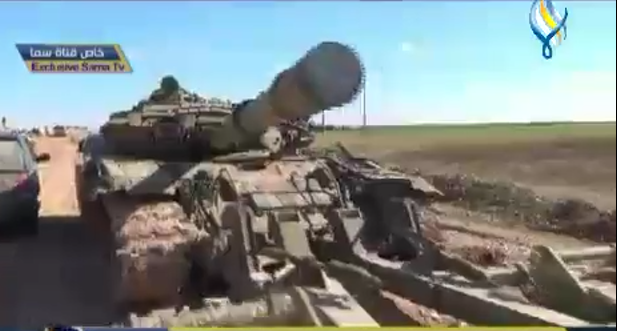 The gun barrel looks like it's painted in the colors of the old Syrian flag too, not the rebel one. 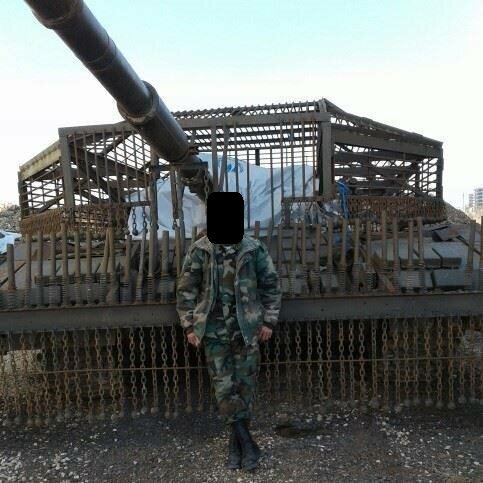 Google hasn't been much help (other than probably putting me on more watch lists), but I did find what I guess is a T-72 with cage armor on the sides and the turret replaced with a quad 23mm in a metal box turret instead. I figure there's other threads for that. Despite how much I'd like this to be a Sherman, it's probably some boring recovery vehicle or something else that no one likes. 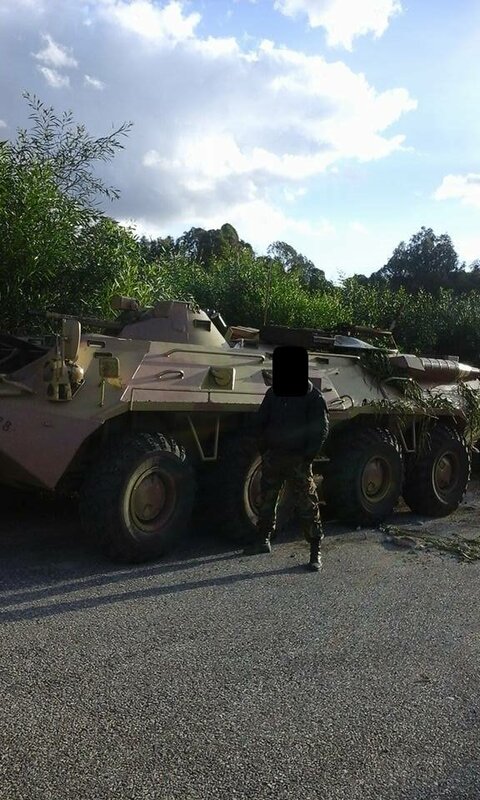 BTR-80 of the 4th division. 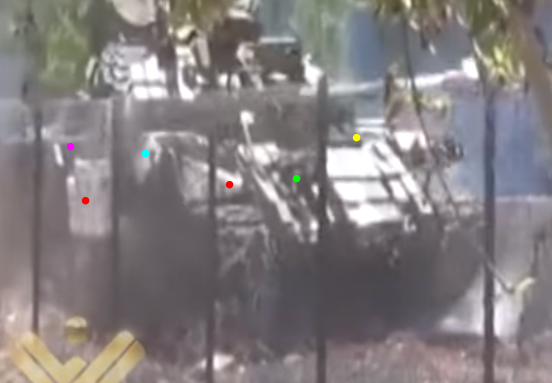 #Syria #Aleppo #SouthernAleppo This T-90 21-5 was NOT SEEN during the #Khan_Tuman Attack. 21-4 was Video'ed. 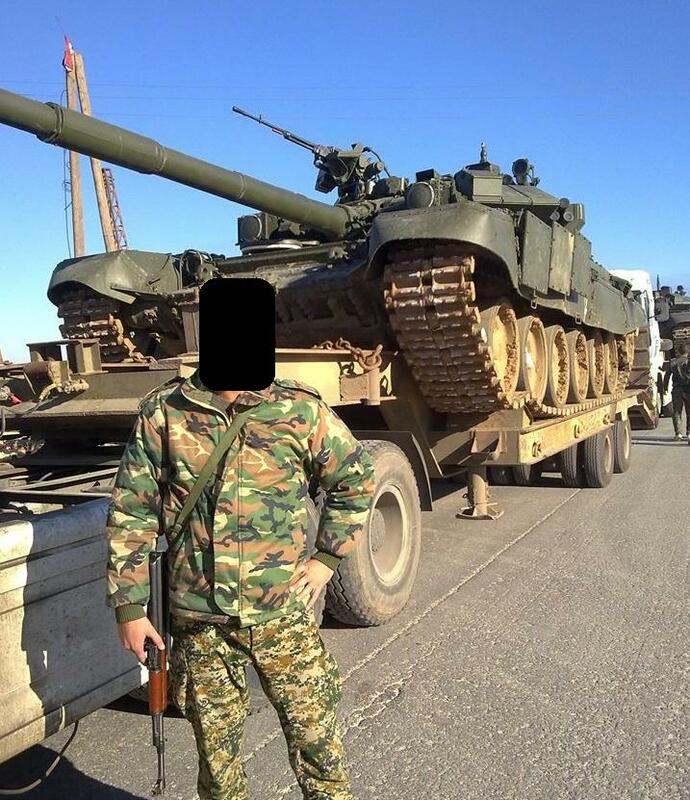 Forgot to add - 21-5 looks like to be T-90A. 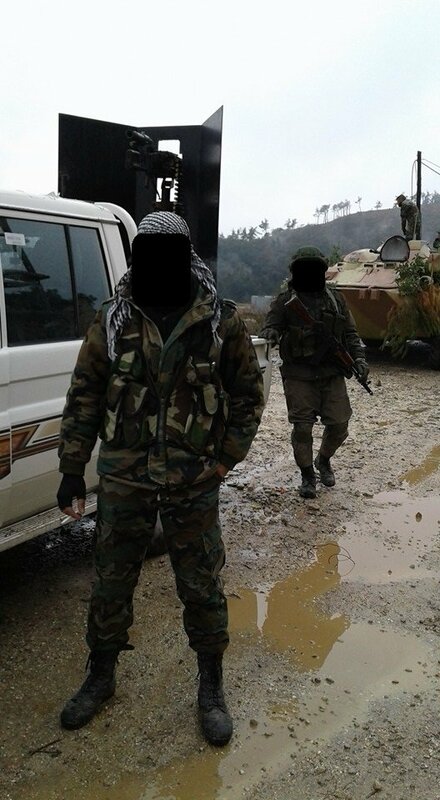 SAA, 4th Armored Division, January 2015. 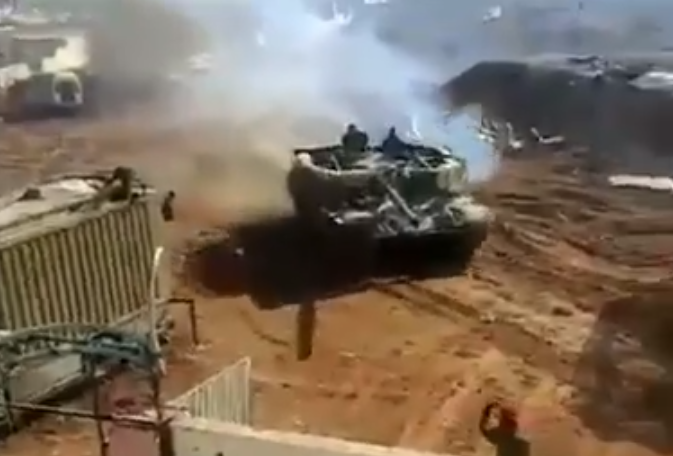 No T-90s have been lost yet, right? 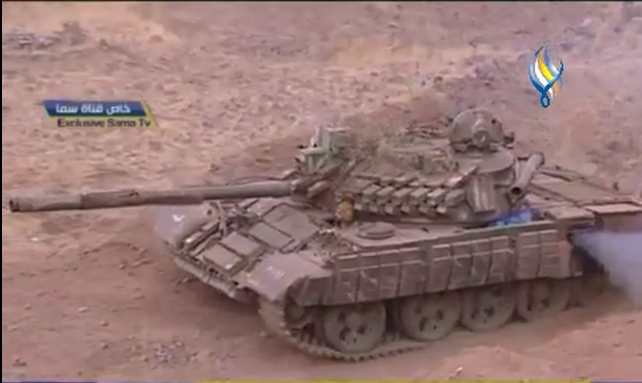 Yes, no T-90 were lost. Probably because they were not used much. 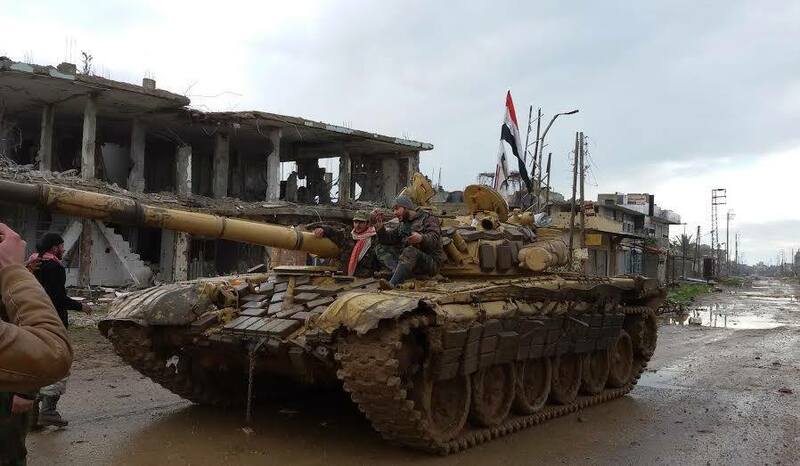 T-90 are located in place, from which they can counter-attack any advances of enemies near Aleppo. 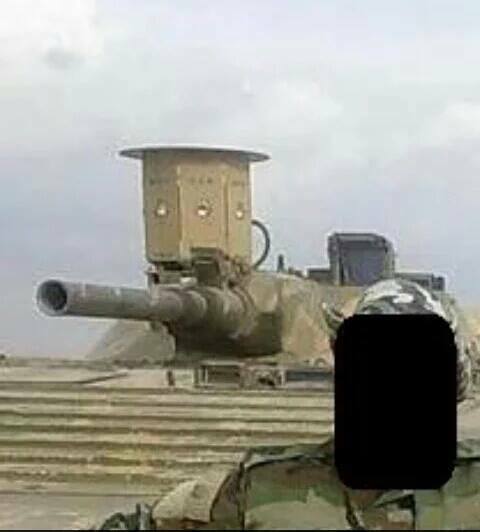 Today I've been running to photos showing maybe some kind of new electro-optical device on SAA tanks and IFV's. The word out is that the stuff is at least mostly seen in Northern Aleppo. Any clue, what is the devices function and origins? 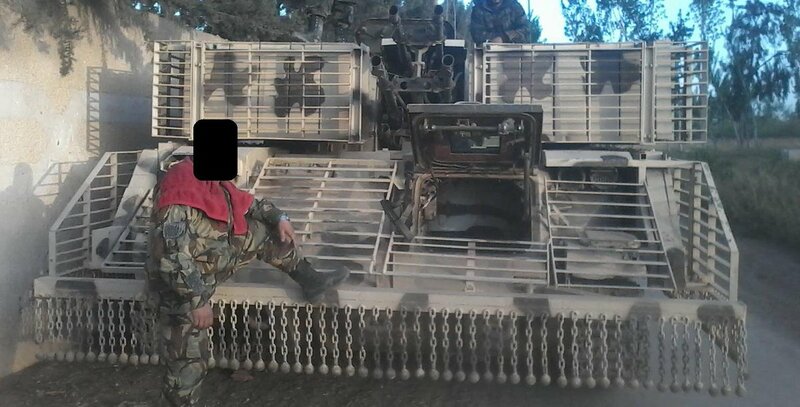 Claimed to be Syrian 'Shtora'. 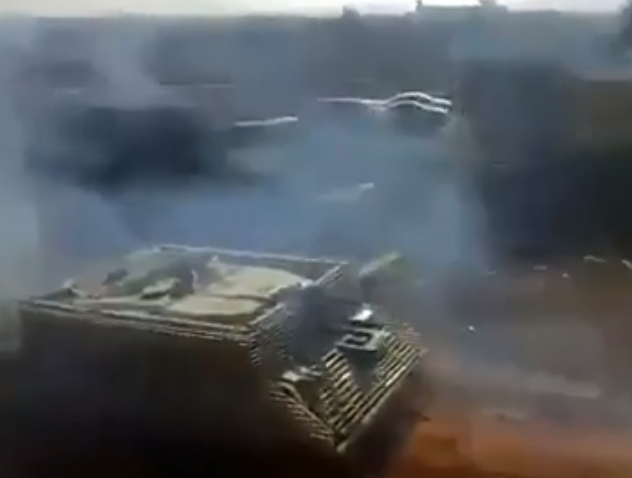 I saw it yesterday during currwnt big North Aleppo offencive. I wanted to share about it, but i was at work. 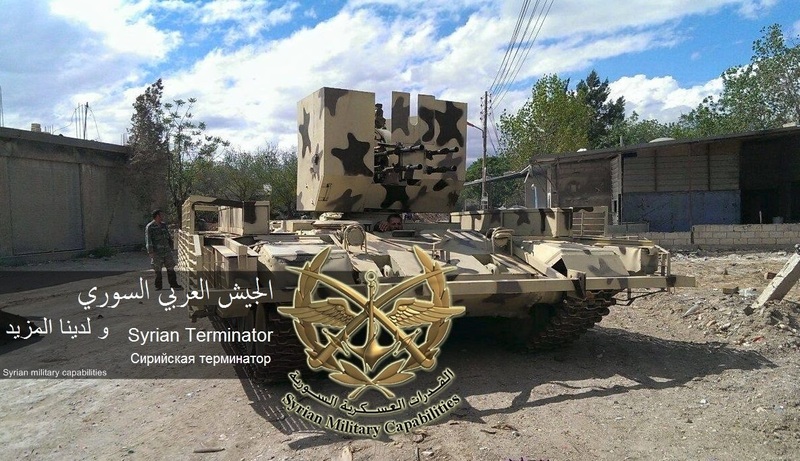 It is claimed that those 'Shtora' Soft kill APS use IR and xenon lights to jam ATGMs, including TOW-2A. 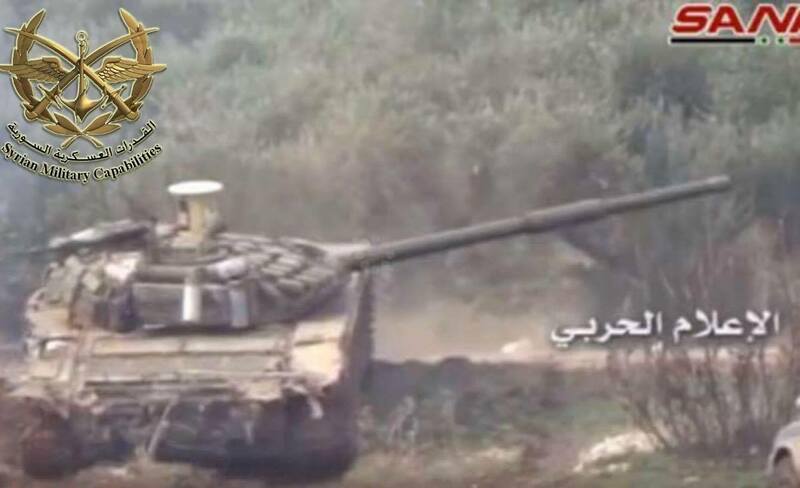 Can't say is it working or not, but that system is installed even on T-55s.